Purchase Order Management Software maintains sales and purchase records in an accurate way. PO Management program reduces complex paper work and re-data entry process by automating your inventory management process. PO tracker software easily tracks business item sales and purchase transaction details, customer vendor information without any complex efforts. Centralize purchasing avoids duplication of PO records. 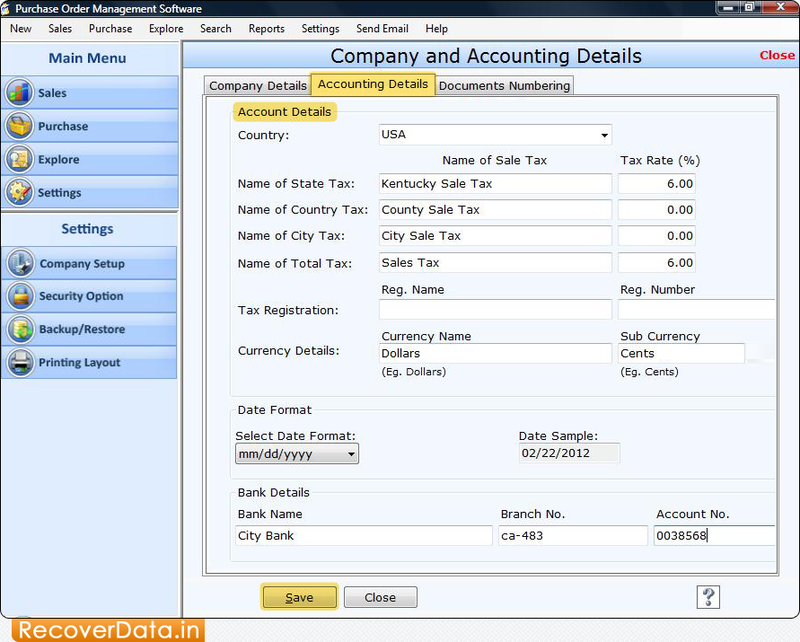 Maintain company information business transaction details. Provides Advanced Search option to search selected detail from bulk of PO records. Restore crucial information in any data loss condition.